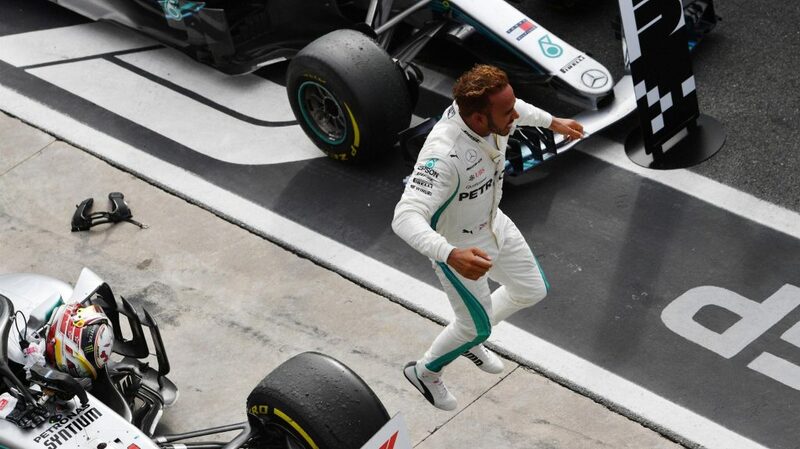 This year’s championship is certainly heating up to be a two-way fight between the Silver Arrows and the Prancing Horse in the driver’s and constructor’s championship. This is what fans want. Period. Lewis Hamilton bagged his sixth win and 68th of his career, after starting third on the grid and a first lap collision with title rival, Sebastian Vettel. Hamilton now holds a 30-point advantage over the German. Kimi Raikkonnen, who smashed the 14-year old lap record set by Juan Pablo Montoya in 2004 en route to pole position, finished as bridesmaid. There was a lot going on in the first lap: Hamilton and Vettel colliding only for the latter to spin and drop to last place. He eventually finished fourth. The win at Imola is a record-equalling fifth with the great Michael Schumacher and what makes it even better is that Monza is regarded by many as the embodiment of Formula One racing. “The way this race went was one of the most exciting victories that I can remember,” Hamilton said. “To know that I am up there with Michael is always a real privilege. 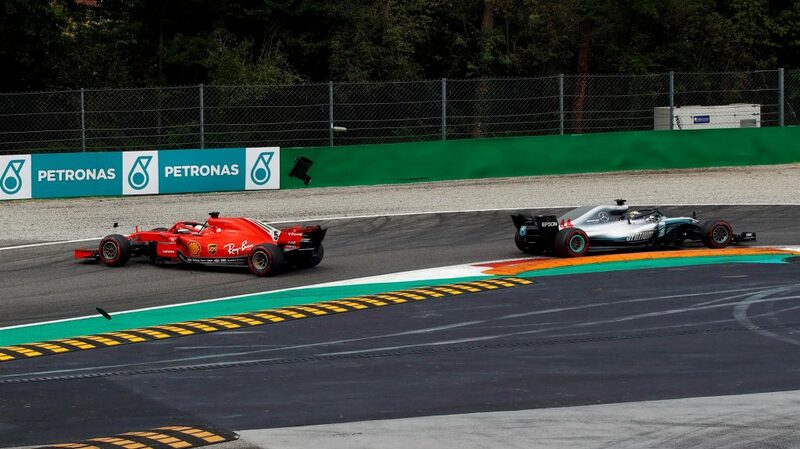 Mercedes’s Valtteri Bottas took up the role of moving bollard as he held up Raikkonen for several laps, allowing Hamilton to cut the Ferrari driver’s advantage from seven seconds down to one. He eventually finished third on the podium. It was a bad day in the office for Daniel Ricciardo, with his engine blowing up on lap 25, later confirmed to be a clutch issue. This is his fourth retirement in the last six races. However, teammate Max Verstappen finished fifth. “It’s not always fun,” said Ricciardo. “Honestly, looking at the whole year it’s been pretty frustrating. Hamilton was subjected to a plethora of boos on the podium, but insisted he was not fazed by the taunts of the Ferrari fans. “There’s nothing to get offended by,” Hamilton said. “I just keep smiling. I know I’ve got those individuals who are out there who travel the world to support me.